Awards include the “Ethel S. Birchland Lifetime Achievement Award” named after ARTBA’s former executive director from 1924 to 1928, and given to at least one woman who has demonstrated outstanding leadership and long-term service in the transportation design and construction industry’s public or private sectors. 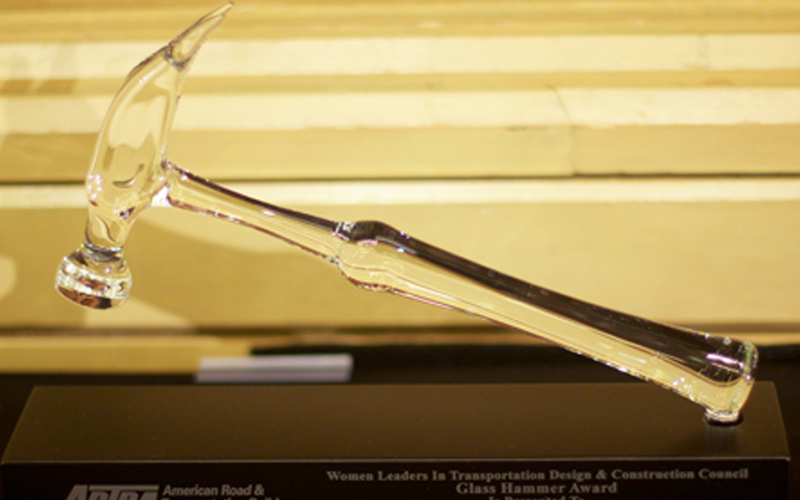 The “Glass Hammer Award” will be given to at least one company in the transporta­tion construction industry that has innovative programs and activities directed at successfully promoting women leaders within their organization. The “Future Industry Leader Spotlight Award” is given annually to bring national industry attention to two women students enrolled in undergraduate or graduate studies at a U.S. college or university who have achieved an outstanding academic record and demonstrated extraordinary leadership skills within and outside the academic environment. Anyone can nominate a candidate and ARTBA membership is not required. All nominations must be submitted online prior to August 21, 2015. View for more information. The 2015 ARTBA Federal Issues Program kicked off April 13 in Washington, D.C. with a WLC brainstorming session. WLC Chair, AECOM’s Jihane Fazio, and ARTBA Vice President of Member Services, Allison Klein, welcomed both in-person and call-in attendees to discuss ongoing activities the group is engaged in to help promote the advancement of professional women in the industry. The Council will continue to sponsor webinars with leading women in the field, reach out to women attendees of ARTBA functions and work with the ARTBA Young Executive Leadership Council on outreach, mentoring and professional development opportunities. Created in 2010, the Women Leaders Council promotes leadership and career advancement for women in the transportation design and construction industry through networking, mentoring, recognition and educational activities in partnership with ARTBA and other stakeholders. More information can be found on the ARTBA website.